UFW Stories: "Things I Didn't Talk About With Cesar Chavez"
"Things I Didn't Talk About With Cesar Chavez"
Cesar Chavez was at Villanova University (PA) years ago at a showing of “The Wrath of Grapes”. We chatted at the reception for about five minutes but, somehow, only talked about the late Bobby Kennedy and the odd workings of government. — Working for re-legalization of Hemp Agriculture…which would provide pesticide-free, minimally water-wasting, soil-benefiting, and long-growing-season crops to provide non-toxic jobs for farm workers across the country. 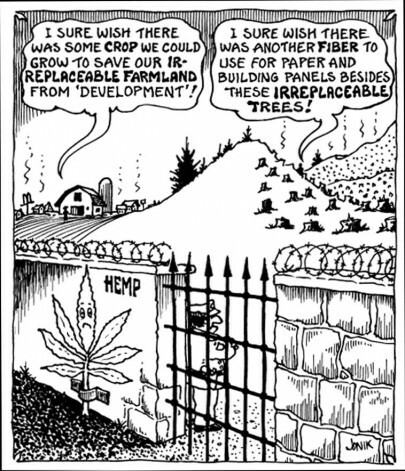 —How the pesticide free nature of hemp would be a point that would unite the UFW with all sorts of environmental and anti-toxics groups in the country. —The tobacco issue is highly prominent and controversial, but it is largely forgotten that tobacco is the Sixth Most Pesticide Intensive Crop, according to the US Government Accountability Office (GAO). Therefore, tobacco farm workers are likely the sixth most pesticide-harmed farm workers. Previous contacts to the UFW about this did not result in UFW actions on this issue because, it was said, the UFW does not organize in the US East and South East where tobacco is grown. However, many non-tobacco components of most cigarettes are grown in California and elsewhere in the West. This includes almond, honey, raisin, orange, fig, lime, prune, apricot, cherry, lemon, grape juice, plum…and even timber pulp for making typical chlorine-bleached (dioxin-delivering) cigarette paper. Regarding grapes, note raisins and grape juice in this list. How many grape growers are part of the cigarette industry? This isn’t so much a story, but a wish that the UFW would consider entering into these important, potentially very newsworthy, farm-worker-protecting, and otherwise relevant areas.